• The Buffaloes ran off six consecutive goals early in the second half to seize control in Eugene. Oregon slipped to 2-3 in the first-year, six-team Pac-12 standings. Overall, the Ducks are 4-4. The game was tied 6-6 at the half. • The Pilots won at Nos. 1, 2 and 4 singles, with Jelena Lukic, Radina Dimitrova and Raphaelle Leblanc all finishing off their foes in straight sets. But the visiting Toreros won the match and improved to 7-6 overall and 1-2 in the West Coast Conference. • Oregon snapped a three-match skid, dominating in doubles and then completing the day with singles victories by Rifanty Kahfiani, Alyssa Tobita and Daniela Nasser. The Ducks are 11-6 for the season and 2-3 in Pac-12 matches. • PSU took the doubles point but only one of six singles matches at Club Green Meadows in Vancouver, Washington. The Vikings are 9-7 overall and 4-3 in the Big Sky. Weber State climbed to 8-9, 5-3. Singles winners for the Vikings were Avery West at No. 3 and Sam Roberts at the fifth spot. • Oregon was tied for 10th out of 14 teams at 9-over-par 297 after one day of the PING/Arizona State Invitational. 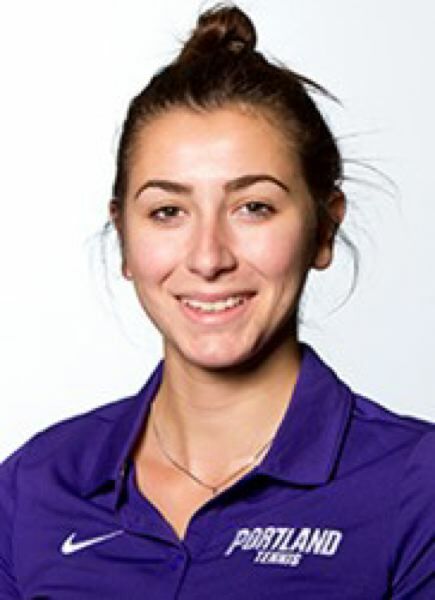 Petra Salko's par-72 lead the Ducks and was good for a share of 14th. Washington, ranked 16th in the nation, shot 284 to take a one-shot lead over No. 15 Arizona and No. 50 Georgia. The second of three rounds is Saturday at the ASU Karsten Gold Course.